Photo credit to Idaho Distance Education Academy: Nicole Kriener (center left) with fellow Idaho Distance Education Academy graduates at a celebration in Boise, Idaho. Green sashes indicate students who graduated with dual college credit. The public charter school story in Idaho is energized by a can-do entrepreneurial spirit. This spirit is driven by individuals who take personal responsibility for the collective good of their communities. For a state its size, Idaho has an extraordinary variety of successful charter schools. This year marks twenty years since Idaho’s first charter school opened its doors. Today, Idaho is home to 52 public charter schools serving about 22,000 students (roughly 7% of the state’s public school students). Thirty-two of these schools serve high school age students, and this spring, a cohort of roughly 1,400 seniors are celebrating their graduation from a public charter school in Idaho. The work ethic and can-do culture these schools instill in their students is evident – Idaho’s public charter schools are perennially some of the state’s highest-performing public schools on the SAT. This encompasses all demographics, including economically disadvantaged and minority students. 11 out of the top 15 schools with the highest SAT scores statewide are public charter schools. 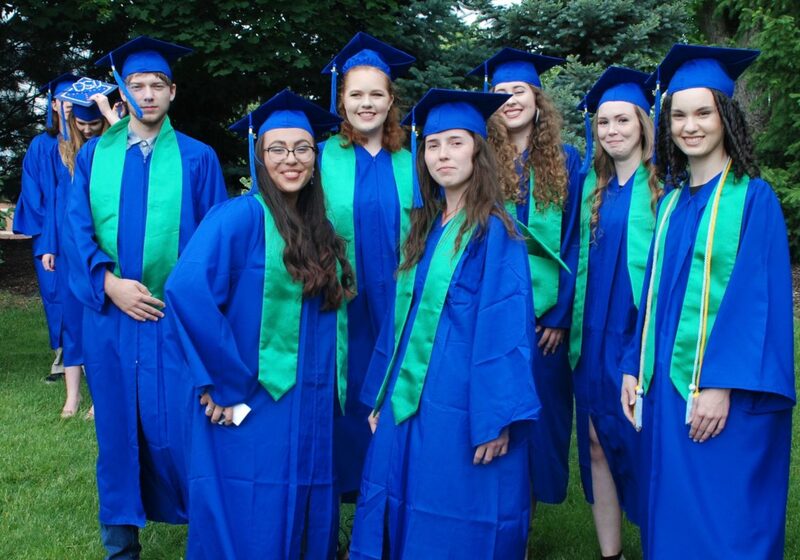 North Idaho STEM Charter Academy’s inaugural graduating class holds the number one SAT score in the state, and though they number only seven, their list of accomplishments is remarkable. Founded as a K-8 school with the mission of providing its students with a rigorous and challenging learning environment, North Idaho STEM Charter Academy expanded in 2014 to serve K-12. In 2018, their graduating class has a 100% college acceptance rate, thanks to the school’s culture of hard work and perseverance, and they have collectively earned over $300,000 in scholarships. Academic excellence is just one attraction to the choice of public charter schools. According to seniors from other Idaho charter schools, the academics are part of a larger school culture that also promotes relationships and community. Part of the reason charter schools are able to serve their students and families so well is their flexible design. No two students are alike, and their ability to adapt to student needs enables them to meet students where they are and give them the tools they need to succeed. For example, Idaho Distance Education Academy (I-DEA) is an accredited, online college prep public charter school serving students statewide in grades K-12. They are the highest-performing online school in Idaho. Many of their graduates finish high school having earned college credits, and this year, 22% had earned a 2-year degree upon graduation. One such graduate will be spending the summer completing a prestigious internship through the Public Library Association. The only student from Idaho to be invited, Nicole Kriener will join 50 other students from around the nation in Washington DC this summer. Kriener decided in 8th grade that she wanted to become a children’s librarian and a writer and has been working hard toward that goal ever since. Another example of charter flexibility is a new-to-Idaho school, Pathways in Education – Nampa, which recently celebrated its first graduating class. The Pathways model is a well-established educational model nationally that has already helped high-schoolers get back on track towards graduation. Their model provides a flexible and supportive learning environment for students who do not thrive in a traditional high school setting. During the Pathways graduation ceremony, a graduate shared his success story: A three-time drop-out with no interest in school, he was introduced to Pathways by a friend. At first, he admits, he did not work very hard, but the Pathways team pushed him and supported him. The school did not judge him for his past mistakes. Part of the Pathways model is experiential learning, and a trip to Cuba proved to be a key turning point for the student. He said it really opened his eyes and motivated him to turn things around. He now has a full-time job, a high school diploma, and a level of confidence he had never experienced before in life. Public charter schools are an important school choice option in Idaho. Idaho’s charter school sector is well-established with over 20 years of work by educators, community groups, parents and students. As evidenced by the roughly 6,000 students on waiting lists, Idaho’s families value public charter schools, staunchly support them and want more of them for their children. Congratulations, Class of 2018!